Thunderbolt 3 housing pro grafickou kartu (x16 PCI Express 3.0 slot) 550w verze. Podpora karet s GPU akcelerací NVIDIA GeForce GTX 7,9 a 10 serie, AMD Radeon R9 a RX. Podpora dalších Thunderbolt3 kompatibilních PCIe karet plné délky jako RED Rocket-X nebo AVID Pro Tools HDX. Verze s 350w a 550w zdrojem. 40Gbps Thundebolt 3 rozhraní zajišťuje plnou šířku PCIe pásma (2750MB/s). Paralelní napájení notebooku (15w/87w). Nejtišší provedení na thru (velké větráky s proměnnými otáčkami). 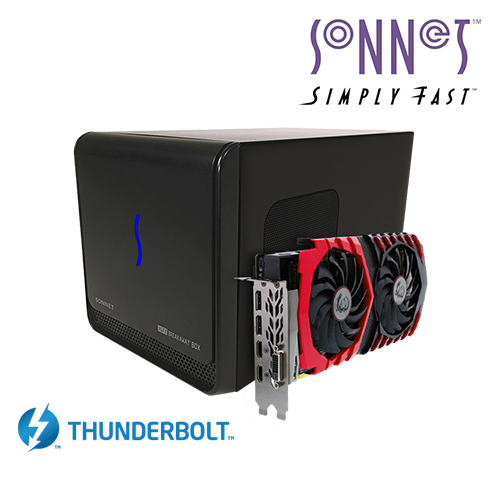 Sonnet’s eGFX Breakaway Box, a Thunderbolt 3 to PCIe card expansion solution, supports any Thunderbolt compatible PCIe card, but is designed specifically for bandwidth-intensive graphic video cards. 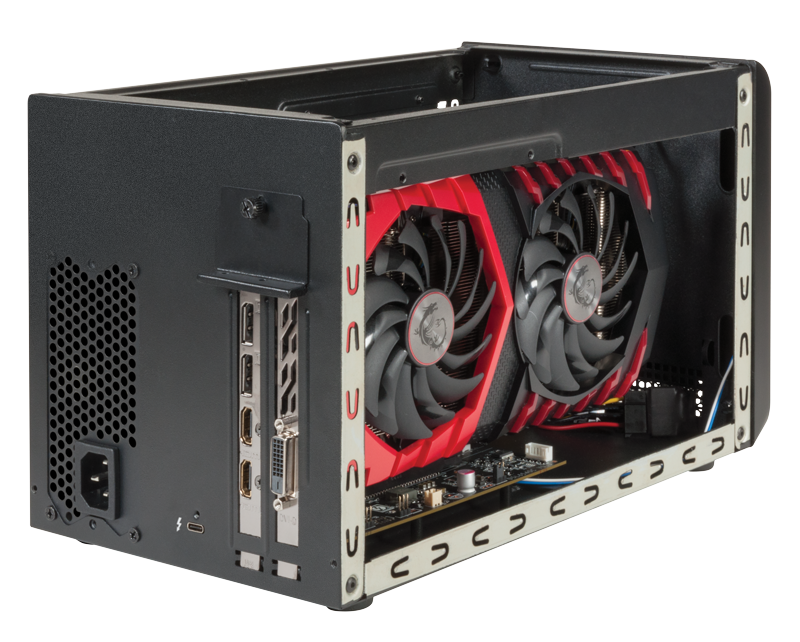 The Breakaway Box enables all the popular GPU cards that support connecting to a computer over Thunderbolt such as AMD Radeon® R9 and RX and NVIDIA® GeForce® GTX7, 9 and 10 series, providing GPU support for computationally-intensive applications and games.